Andy Krna joined TM Capital in 2012 and is primarily responsible for transaction execution within the firm’s industrial practice. For the past several years, Andy co-authored TM Capital’s annual Building Products Sector Spotlight. Andy has over thirteen years of finance and consulting experience, working with both established and start-up companies on a wide variety of transactions. 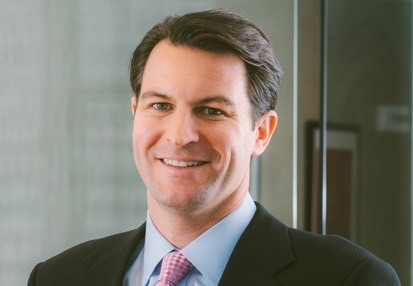 Prior to joining the firm, Andy was an Associate with Accordion, a private equity-focused financial consulting and technology firm that empowers PE-backed CFOs across their entire function. While at Accordion, Andy also worked as an independent consultant for start-up companies and venture capital firms, including spending a year at Broadway Video Ventures. Prior to Accordion, Andy was an analyst in the Leveraged Finance group at Barclays, focusing on infrastructure and utilities. Andy’s first job after college was working as a consultant for Silver Oak Solutions, a management consulting firm that later became CGI – Spend Management Solutions. Andy received a BA in Economics from Harvard University. While at Harvard, Andy was a member of the Harvard Men’s Swimming and Diving Team, serving as team captain his senior year. Outside of work, Andy resides in New York City with his wife, Lindsay, and daughter, Sydney. In his free time, Andy enjoys living an active lifestyle, taking in all New York has to offer and traveling whenever possible.